Francine Mathews writes a variety of genres. In addition to police procedural mysteries and spy thrillers, she has written a series of historical novels about Jane Austin acting as an amateur sleuth under the pen name Stephanie Barron. In this police procedural mystery series, Detective Meredith (Merry) Folger is a third generation police officer who lives on the Island of Nantucket off Cape Cod, Massachusetts. Francine Mathews worked for a few years as an intelligence analyst for the CIA. She used her experience to write the Caroline Carmichael novels. Summary: Detective Meredith Folger’s father, who is chief of police, assigns Merry her first murder investigation when the mysterious brother of a prominent citizen ends up drowned in a cranberry field. Did the murderer intend to kill the victim, who had been hiding in Brazil for a decade? Or was the true target his brother Peter, a local cranberry farmer? 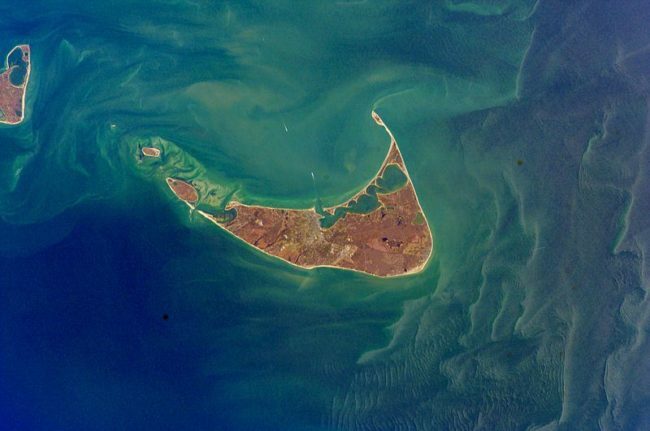 The Nantucket setting is intriguing and Mathews weaves in local details, such as the difficulty for residents to find affordable housing on an island that fills with wealthy tourists each summer. The plot is nicely complicated by the twist that we don’t know who the intended target is. There’s also a red herring or two. The one weakness is the dialogue, which consists mainly straightforward interrogations with little realistic conflict between the participants and no subtext. It could have been richer. In the second of the series, Mathews delves deeply into the economic woes of the fishing industry on Nantucket. Merry’s close friend Del returns to the island after the death of Del’s’ father, fisherman Joe Duarte. It looks like Del is going to take over her father’s boat and fish for swordfish, but she is brutally murdered. Merry’s father orders Merry to take a vacation. Instead, she continues to investigate her friend’s death. For this novel, the intrigue builds around the father of Del’s daughter. If Merry can discover the toddler’s father’s true identity, it might reveal the motive for the murder. Mathews also weaves in a subplot around an anti-fishing activist and an explosion at Town Pier. I was a bit disappointed when one of the side characters, who had been an admirable person up to this point, goes crazy with jealousy. It seemed like an unrealistic and contrived way to generate another suspect. The author could have created another character — one who was less stable from the get go — to fill the jealous role and it would have been more believable. When CIA analyst Caroline Carmichael discovers that her husband Eric — who is supposed to have been dead for two years — is actually alive and possibly working for the enemy, she is shocked. When the director sends her to find Eric and figure out what is happening, Caroline jumps at the chance even though she knows she’s being used. Unlike with her Merry Folger books, this novel is filled with a huge cast of characters, so many that it is hard to keep track of them at times. Some of the characters were flat and not memorable, which didn’t help. The characters also travel all over the world, so the setting is more complex than the Merry Folger books. The plot is also more tangled and and much, much darker. As is usual with the spy thriller genre, the protagonist spends most of her time trying to figure out who she can rely on in her own team, including whether she can trust her own husband, rather than battling the bad guys. In an unusual choice, the author writes flashbacks in present tense. I found it disorienting, which may have been the intention. After all, Caroline has just learned her husband is not who and where she thought he was. The dialogue is better in this novel because everyone is lying and covering up their true agendas. Overall, I enjoyed the Merry Folger books a great deal and would like to read more in the series. Because I read a lot of mysteries, I’ve been trying to come up with a better system to keep track of which novels I’ve finished. I thought blogging would help, which it does, but I don’t always review everything I read. To get more organized, I’ve decided to create a series of author posts with lists of novels and links to my reviews. I plan to edit these pages as needed.